Curve multi-axis, swarf cut, flow line, multi-surf, port, rotary…which toolpath is the correct one? While each of these choices have something substantial to offer, most programmers – again, based on their experience level and lessons learned from past projects – will gravitate to one or more of these as their favorite “go-to” solutions for 5-axis programming. However, no matter what part you are programming, or what industry you are working in, one rule most always rings true when selecting a machining strategy…K.I.S.S. This acronym can be applied to many things in life, and selecting NC programming strategies is certainly one of them…especially 5-axis strategies! For those of you who may not know, this acronym stands for…Keep It Simple Stupid. 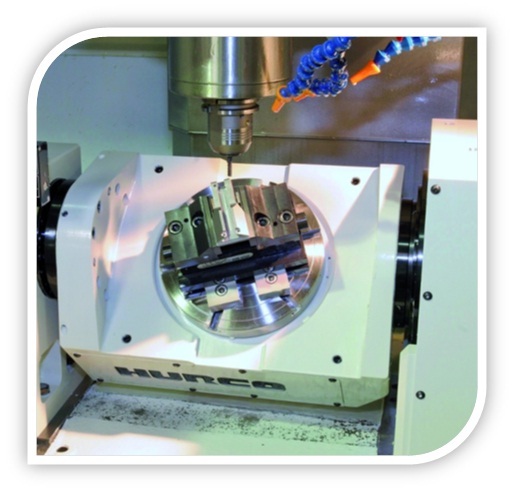 Although complicated simultaneous 5-axis machine movement is really cool and exciting to watch – and is usually what people automatically envision when you mention 5-axis machining – you are usually best served to steer clear of it if at all possible. With all five axes moving at one time, while the tool tip is buried deep inside features on the part, and the tool body and tool holder are constantly tilting and moving closer and closer to the workholding device and machine structure with every pass, you can see how quickly the stress level can skyrocket for the poor machine operator who drew the short straw, and is in charge of proving-out the first run of this scary process...all while he can hear the owner’s voice in his head screaming: “don’t you dare crash my new machine!”. Now, you might ask yourself: if simultaneous 5-axis isn’t the answer, then what is? The answer is 5-sided, or 3+2 programming. 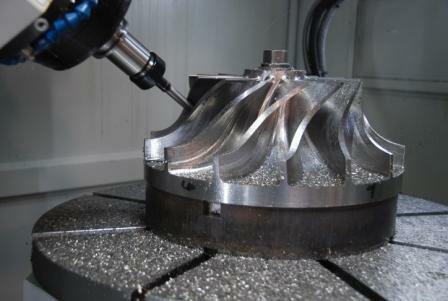 Although there are definitely some products, like impellers for example, that simply require simultaneous movement to allow the tool to reach complicated features on the workpiece, the vast majority of parts can be successfully machined by simply using the two additional rotary axes to position the part at some designated angular orientation – and then you can employ a simple 3-axis toolpath to machine the necessary characteristics. Not only is this a simpler and safer approach, but the resulting cycle time will be shorter as well. When programming 5-axis simultaneous processes, machine movement is always limited by the speed of the slowest rotary axis…however, when the rotary axes are only used to orient the part into position, then the remaining linear axes of the machine are capable of cutting at the fastest maximum feedrate allowable by the control…without regard for the limitations of either rotary axis. Now, at this time I think it is also worth mentioning that just because you’re not using simultaneous strategies, and are only employing simple 3-axis toolpath technology, you can still take advantage of the obvious reduction in multiple setups, and benefit from many other characteristics most associated with 5-axis machining. For example…when using the rotary axes just to position the part for machining, nothing dictates that the tool axis angle must be perpendicular to the surface being machined. Positioning to a non-perpendicular orientation will allow you to cut on the corner radius of a ball or bull nosed endmill, and therefore achieve the desired surface finish and chip load control that is most often a desired outcome when moving to a 5-axis machine. As I mentioned in one of my recent blog articles (5-axis…it just ain’t that scary), just because this technology is advanced, it isn’t something that needs to be over-complicated. Applying the K.I.S.S. system to your approach, and formulating a well thought-out plan before you begin, multi-axis programming is really quite a simple concept.